Your girl is back after a looong break! Its been a while, but even at that now, we are going to take it one day at a time, as the Lord directs. How have you been? I would really love to know who and who has been reading or has been patient with me, kindly drop a comment, God bless you. 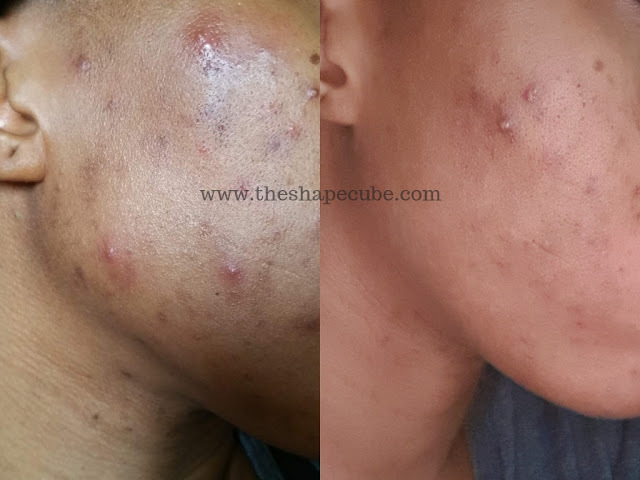 I've been struggling with acne for a few years now, it started all of a sudden in 2015. Before then, I had very smooth face/skin without any issues at all. I cant really tell what triggered it, but I know for sure it wasnt my diet, contrary to what my doctor told me, because I was eating very healthy. It started all of a sudden and up till recently it has been a struggle with spots and bumps to fight every month, especially during my monthly cycle. I have tried all sorts of things plus plenty therapy/seeing the dematologist. Once after I saw the demertologist, I saw improvements after I followed the very tedious routine. It worked for a few weeks, the redness and bumps cleared but left a lot of spots behind. Once I stopped the doctors treatment, the acne came back, so I tried many other htings, but I never consistent. I wash my face with a clarifying soap, morning and night. I use vovi mild toner afterwards. I then I use 'clean and clear persa-gel 10' topical acne lotion. I've been doing these 4 things above since July, and seen loads of difference since. See my pictures below. There is definately progress, better than I've seen in a long while. Even after my period came this month, I only had 2 small acne bumps on my face which quickly went away. I will keep up with the routine and see how it turns out months from now. I just felt like I should share this with you guys for those who are going through the same issues. 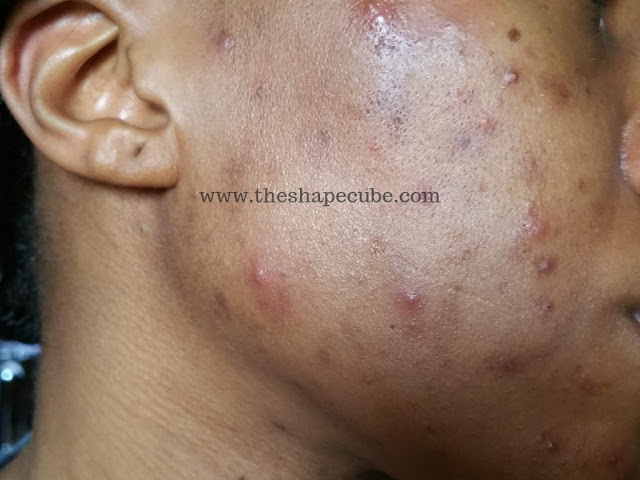 Do you ahev acne problems? I speak healing and wisdom into your life in Jesus name, amen. Take care, thanks for reading and God bless you.